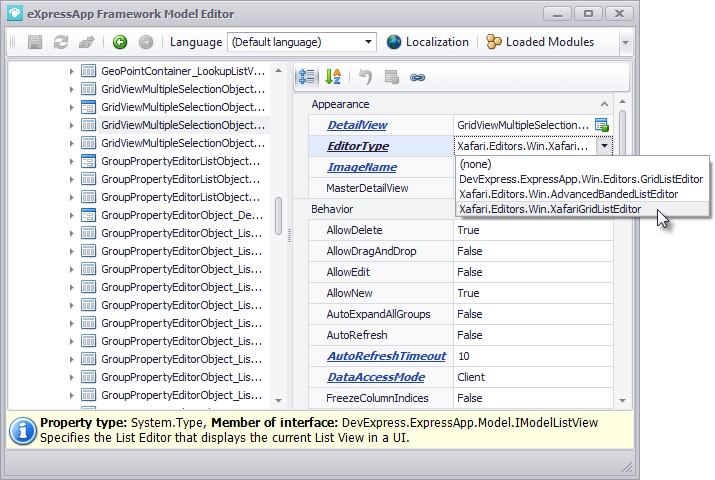 Displays data similarly to DevExpress Grid List Editor. 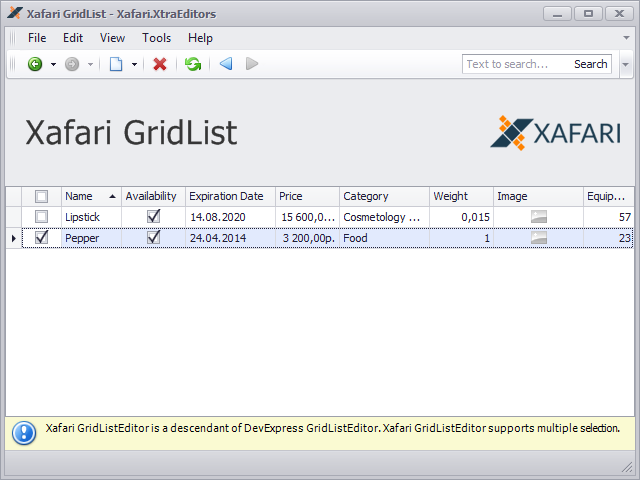 In additional, Xafari Grid List Editor supports Multiple Selection by Check Boxes, it is described below. Web version supports Web Editors Templates technology. The image below demonstrates ASPxXafariGridListEditor that uses a customized template. To get extensive knowledge about this technology, refer to the Web Editors Templates section.